Summary: Virginia’s governor Ralph Northam is in the news after a photo of people in blackface and Ku Klux Klan costumes surfaced on his page of the 1984 medical school yearbook. Northam says he is not the person in the photo, although he admits he wore blackface on a separate occasion. The governor is facing calls to resign from members of his own party. 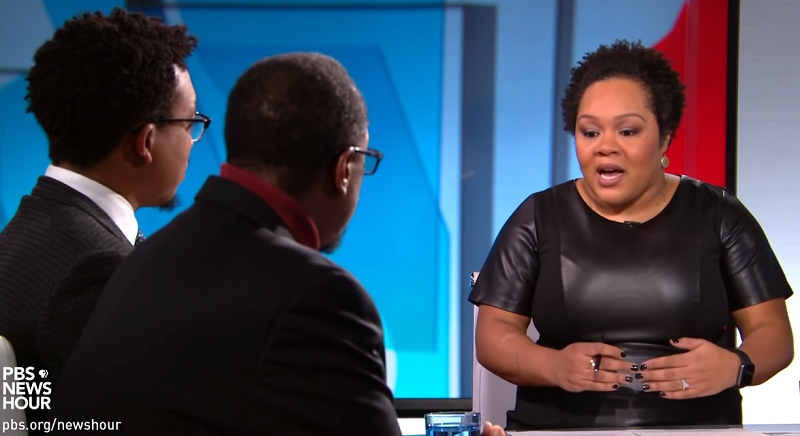 NewsHour’s Yamiche Alcindor talks to Duke University’s Mark Anthony Neal and The Atlantic’s Vann Newkirk about the racist history of blackface in America and why it is so hurtful. “Blackface is much more than just dark makeup used to enhance a costume. Its American origins can be traced to minstrel shows. In the mid to late nineteenth century, white actors would routinely use black grease paint on their faces when depicting plantation slaves and free blacks on stage. 1) Essential question: How do racist actions from a leader’s past affect their moral capacity to govern? 2) What do you know about the history of blackface? Why is blackface racist? 3) Do you think Gov. Northam should resign? Why or why not? 4) The U.S. Congressional delegation from Virginia, many Democratic leaders and Democratic voters have called on Northam to resign. In NewsHour’s “Politics Monday”segment Amy Walter states how the issue of racism and blackface are going to come up again and again. She said Democrats have taken a “zero-tolerance” stance towards racism. Do you agree with this stance? Why or why not? 5) Young people make mistakes all of the time and that is part of growing up. What is the difference between a mistake you can leave behind and one that affects your career and adult life? 6) Why is it important to talk to a trusted adult at home or in school if discussing this story upset or troubled you? Who might that person be? 1. Watch Sunday’s segment featuring Judith Browne Dianis of Advancement Project, a national civil rights organization and Richmond-based public radio host Roben Farzad. Find the transcript here. Ask your students: According to Browne Dianis, how is Virginia’s law from the late 1800s (only 1 out of 3 states in the country have this law) which forbids felons from ever voting in the state considered a holdover from slavery? At the start of the video, Farzad makes reference to “a right-wing website [that] gets its mitts on these med school photos.” Do you think it is significant that the photo was first published in a right-wing website? Why or why not? Why do you think Democratic strategists had not previously uncovered the photo in Northam’s yearbook? 2. Media literacy: Watch the “Politics Monday” segment (see transcript here). Tamara Keith states, “Our politics are not really set up for dealing with difficult things; things where it’s tough, where there’s not a good answer. Typically, when the going gets tough, people resign.” Think back about what you have learned in social studies or government class. What leaders have resigned for their actions? Did you agree or disagree with their decision?